Etude House Malaysia has finally re-opened with a bigger selection of k-beauty makeup and new skincare lines . 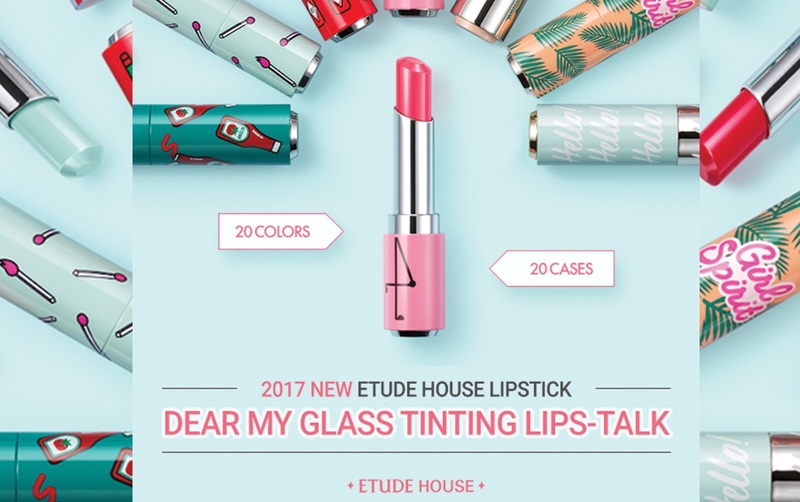 With the latest launch of Etude House Dear My Glass Tinting Lips-Talk a collection you definitely just have to have. Just close your eyes and imagine customizing your personal lipstick from choices of casings and shades to mix and match with. Read on to find out how you can Make Your Own LipStick..! 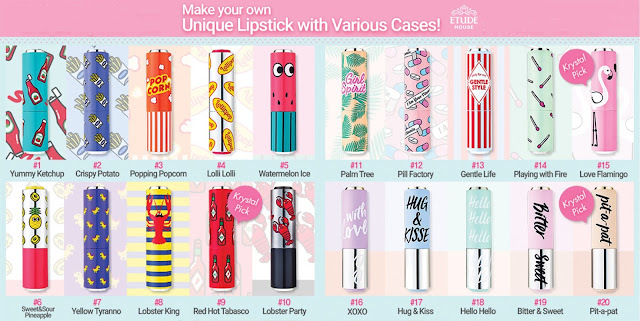 Etude House Dear My Glass Lips-Talk collection comes with 20 different lipstick case designs to choose from. Plus, the creamy lipstick formulas are available in 20 made-for-everyday shades - in everything from sheer warm brown hues to bright bold red and even purples too. Now you can mix and match your favourite shade to your favourite lipstick casing, with more than 100 over different lipstick casing and lipstick combinations for you to play with. Check out the Dear My Glass Tinting Lips-Talk video with Krystal and see how she plays with the lips-talk and cases. If you wana get your hand on this new lipstick collection, mark your calendars as Etude House new Flagship Store in Sunway Pyramid will be launching on 18 Aug 2017. What's more, there'll be FREE Engraving with your choice of characters, font types & languages too. So be sure to head down to Sunway Pyramid next weekend. 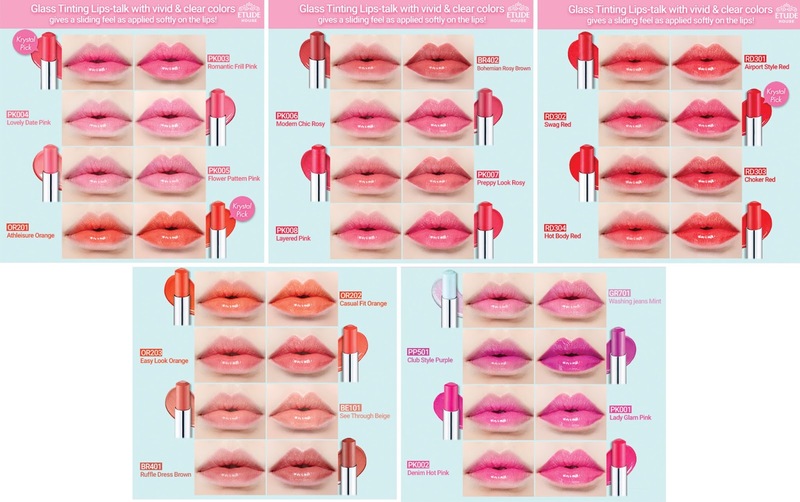 Etude House Dear My Glass Tinting Lips-Talk is retail at RM 38 and Lips Case RM 32. Promotion price of 1 Lips-talk + 1 Lip case = RM 56 (NP : RM 70).